Colorado Crane & Hoist Corp. Welcome To Colorado Crane & Hoist Corp.
We pride ourselves in providing the best possible crane and hoist repair products and services in Colorado. We value you as a customer. Call us 24/7. Call for Fast 24x7 Service! 24/7 Crane Repair: It's the Service You've Been Expecting! Get A Free Evaluation from Colorado Crane & Hoist Corp. now! Learn More About Colorado Crane & Hoist Corp.
Get the scoop on our crane and hoist repair company ready to get your cranes in the best shape possible. We make OSHA crane inspections easy & affordable. Schedule your inspection today. 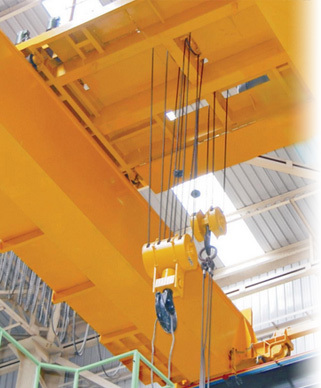 Our Colorado crane repair and hoist repair services and products are trusted solutions, proven to fill your needs.